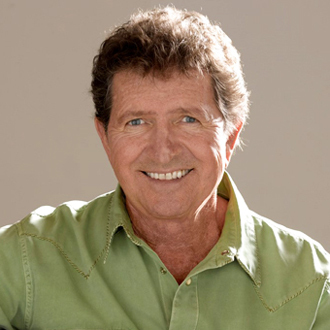 Mac Davis has been a successful and respected songwriter for almost 50 years. In 1969, he broke through as a top songwriter for Elvis Presley, writing the hits “In The Ghetto,” “Don’t Cry Daddy” and “Memories.” Since then, Davis has written several hits for himself as an an artist (“Baby, Don’t Get Hooked On Me,” “Stop and Smell the Roses”), plus songs for a wide range of other artists. Notably, he has been inducted into the Songwriters Hall of Fame and the Nashville Songwriters Hall of Fame. Still very active, Davis has displayed his versatility and skills as a contemporary songwriter, by collaborating with a variety of current artists. Certainly, Davis is the only songwriter who wrote hits for Elvis Presley, who has also co-written songs with Avicii, Bruno Mars and Rivers Cuomo of Weezer. As an artist, Davis wrote & performed several hit songs in the 1970s. He was signed by Clive Davis (then CEO of Columbia Records), and he had the pop hits “Baby, Don’t Get Hooked On Me,” “Stop and Smell the Roses,” “One Hell of a Woman” and “”Rock ‘N Roll (I Gave You the Best Years of My Life).” In the ‘80s, Davis continued his artist success, having several hits on the country chart. His signature song as an artist is “I Believe in Music,” which was also a cover hit for the pop group, Gallery. In addition, Davis wrote the ‘70s hits “Something’s Burning” for Kenny Rogers & The First Edition, and “Watching Scotty Grow” for Bobby Goldsboro. Then three decades later (in 2002), he had a worldwide hit when his song “A Little Less Conversation” became a new hit for Elvis Presley in a remixed version by DJ/producer Junkie XL. It became a theme song for World Cup Soccer and was featured in the hit movie, Ocean’s Eleven. More recently, Davis co-wrote the single “Addicted To You” for Avicii, which became a hit overseas in 2014. He also co-wrote the chart single “Young Girls” for Bruno Mars, and he co-wrote the song “Time Flies” for Rivers Cuomo of the rock band, Weezer. He has also written with country star, Keith Urban. On top of this, Davis had his own variety show in the ‘70s on NBC (The Mac Davis Show), and he’s been an actor who co-starred in the hit movie, North Dallas Forty, and the ABC TV series, Rodney. In 1998, Davis was inducted into the Hollywood Walk of Fame. We are pleased to do this new Q&A interview with Mac Davis. He discussses his early years writing hits for Elvis Presley, his own solo career, and his recent collaborations with Avicii, Bruno Mars and Weezer. DK: How did you get started as a songwriter and artist? I read that you’re from Lubbock, Texas. Mac Davis: Well, that’s a long story (laughs). I did come from Lubbock, Texas, and I grew up in the Buddy Holly/Elvis Presley era. In fact, I used to go to the local skating rink and watch Buddy Holly perform, before he became a star. So I had that get-up-and-go in me, that made me want to be “that guy,” especially when he went off to New York and came back with a big, monster hit record. I also saw Elvis perform there when he was getting started. So that’s how I got my start…I wanted to do that. was written by Mac Davis. DK: Early on, you had success as a songwriter before you had hits as an artist. So how did you go from being a young musician, to getting your publishing deal and placing songs with Elvis Presley? Davis: Well, that’s a lot to cover (laughs). When I was 16, I left Lubbock and moved to Atlanta, where my stepfather was willing to help me get into college. And when I was in college there, I started a little band. We started playing skating rinks, just like Buddy Holly had done. This was around 1959-60. At some point, I met a girl, got married, had a kid and decided I’d better get a regular job. I got a job in the music business as a sales & promotion man. And I started traveling around the country, promoting other people’s records. Then around 1966, I ended up getting transferred out to California to work in the music publishing division at Metric Music (which was a subsidiary of Liberty Records). So while I was working at Metric Music, I was promoting other people’s songs. I was a songplugger, but I was also writing my own songs. Then I met a guy named Billy Strange, who had just started a publishing company with Nancy Sinatra, and they were looking for songs for Elvis. At that point (in the late 1960s), Elvis was trying to find something new and different and exciting. [Elvis’ creative team] were looking for new blood, and I just happened to be one of the lucky guys that got in on that turnaround. DK: Which of your songs was the first that Elvis recorded? Davis: The first song of mine that Elvis recorded was from a movie that he was doing. Billy Strange was composing the music for it, and he asked if I had anything. I said I had a song called “A Little Less Conversation.” It fit into the movie, although I had to change the lyrics a little, because I had written it for Aretha Franklin. So that was the first song of mine he recorded. DK: Around 1968-69, Elvis made a great comeback, with his album From Elvis In Memphis, and his TV comeback special. How did you place your songs on these projects? Davis: At that point, Elvis decided that he would record an album in Memphis, and he filmed a TV show that’s known as his comeback special. They asked me to write a song specifically for the TV show, and they wanted a song about lookin’ back over the years. And so I wrote the song, “Memories,” for the show. It turned out to be my first Top 10 record (as a songwriter). After that, they asked me if I had any songs for his Memphis album. They actually recorded the first three songs that I sent them, including (the big hits) “In The Ghetto” and “Don’t Cry Daddy.” So it was these songs that set me off on my way as a songwriter. which was written by Mac Davis. DK: “In The Ghetto” is a powerful, emotional song, and it remains relevant today. What inspired you to write a song about being in the ghetto? Davis: Where I grew up, my father was a small-time building contractor in Lubbock, and I used to go out on the job sites with him when I was 5 or 6 years old (in the late 1940s). There was an African-American fella who worked for him named Smitty, and he had a little boy called Smitty Jr. He was about my age, and he and I were playmates. And I could never understand why he had to live the way he did. We didn’t have any money, but we had paved streets and paved sidewalks to walk on. [Whereas] little Smitty and his family lived in what basically was a dirt street ghetto, although they didn’t use the word ghetto in those days. [Because of this], I always wanted to write a song about it. In the late ‘60s, they started to use the term “ghetto,” to describe the riots and everything that was going on in Chicago, Cleveland and other big cities. The song was originally called “The Vicious Circle”—it began and ended without a solution. But it was hard to come up with a rhyme for circle, so the title was changed to “In The Ghetto.” I really thought that I was gonna change the world with that song…I was very proud of it. But unfortunately, with the way things are today, the song is probably more poignant now than when I wrote it. DK: In 1969, you wrote four songs that became hits for Elvis Presley. How did it feel to be one of Elvis’ main songwriters? Davis: Well you know, it was probably the most exciting time of my life. I was a late starter. In fact, I wrote in a song that I was 28 and gaining weight (laughs). But I finally got my first hit, and not only did I have the hits with Elvis, but I had an amazing run with hits for Bobby Goldsboro (“Watching Scotty Grow”) and Kenny Rogers (“Something’s Burning”). I was also out doing college concerts, and I did The Tonight Show about 10 times. It was nice to be suddenly in demand (laughs). It was a wonderful time. DK: Soon after, you signed a label deal with Columbia Records. Was that your plan, to have success as a songwriter, and then get a label deal as an artist? The next thing you know, I had an album out and I was traveling all around the country, doing one-nighters and college concerts, county fairs and state fairs. I was opening for the Carpenters and for the Fifth Dimension, just sitting on a stool with my guitar, singing my songs for thousands and thousands of people. And it took a couple years [for my artist career to happen]. It wasn’t until my third album, when I had a hit with “Baby, Don’t Get Hooked On Me,” that my career took another leap forward. DK: Can you talk about how you wrote “Baby, Don’t Get Hooked On Me”? Davis: It’s a fun story. I was recording at the FAME Studio in Muscle Shoals, Alabama, with Rick Hall producing. He was a very successful producer—he recorded Aretha Franklin, the Rolling Stones and other great artists. He kept bugging me, saying “You know, you’ve got to give me a hook, man, you gotta give me a hook song. I can’t get hits with these old, syrupy love ballads you’re bringing in. You give all your hook songs to Elvis, Bobby Goldsboro and Kenny Rogers, and then you bring me these old love ballads. I need a hook!” So as a joke, while he was adding musicians to a track, I went up to his office and I stole a yellow legal pad. Then, I got a bottle of his scotch and set it on his desk, and I was just fiddlin’ around, and I ended up writing the hook for the song. I came up with, “Baby baby don’t get Hooked on me…wink wink (laughs). Then I went back downstairs and I stopped everything—I was winking to the musicians there. I said to Rick, “I think I got you a hook song.” I sang, “Baby baby don’t get Hooked on me.” And by the time I got through the chorus, he says “That’s a smash.” I said to him, “You didn’t get the joke…Hooked on me.” He said, “I don’t care what it is…it’s a smash and we’re gonna cut it.” And that’s the way it came about. DK: “I Believe In Music” has become your signature song as an artist. How did you write that song? Davis: That’s another fun story. It involves Maurice Gibb of the Bee Gees, (singer) Lulu and all these English people. I went over to London to do a documentary about singer/songwriters. While I was there, my manager booked me on Lulu’s television show. After I did the show, they had a wrap party, and I went over to Lulu’s house. Lulu was married to Maurice Gibb at the time, and I met Ringo Starr that night, too. I went to the kitchen and fixed myself a drink at the party, and there were a bunch of hippie types and they were gonna have a séance. They asked me if I would like to join them. And I said, “No man, I don’t think so.” (laughs). It wasn’t my thing. Then someone asked, “Don’t you believe in the occult?” I said, “No man, I believe in music.” And the second I said it, I just went…“I believe in music.” I looked around…it was like a God-shot. I saw one of Maurice Gibb’s guitars sitting on a stand, and I picked it up and started strumming it. I had the hook before I left there…(he sings) “I believe in music, I believe in love.” Years later, “I Believe In Music” became my signature song. I closed every show with it. DK: In 2001, your song “A Little Less Conversation” became a big hit, with a new remix of Elvis Presley’s record. Can you talk about how this song became a hit 30 years later? Davis: Well, some guy from Nike’s ad agency heard the song, and thought it would be great for a World Cup Soccer campaign. So they took it to Junkie XL who was a very creative and successful DJ & producer. He took the song and just chopped it up, fixed it up, and added bells and whistles. And then Nike did a $90 million ad campaign all over the world for World Cup Soccer, and they had all these commercials. So it came out as a single, too. It’s funny, but I didn’t even know about it. A friend called me and said, “Hey man, congratulations!” I asked, “For what?” He said, “Your Elvis hit.” I said, “Maybe you haven’t heard…Elvis is dead” (laughs). He said, “Man, it’s a number one record in England—they released it and it went to #1 the first day.” Then I said, “You’re kidding…which Elvis song?” He said, “A Little Less Conversation.” I said, “That record?” He said, “Yeah, it’s been doctored up and everything. You didn’t know about it?” And overnight, it went to #1 in 26 countries. Anyway, to make a long story short, I’m very lucky and very happy that they released that. DK: In recent years, you’ve done some hip, creative collaborations with Weezer, Avicii and Bruno Mars. First, how did you hook up with Rivers Cuomo of Weezer? Davis: Somebody just called me and said, “Hey, would you like to write with Weezer?” I’d met some guys at Interscope and other labels, and I played golf with different people. And I’ve always kept up with newer artists and what was going on. I guess Rivers was just looking to co-write on some stuff, and he ended up coming over to my house. By the time he finally got there, I had already written most of the song (“Time Flies”), and he wrote part of the last verse with me. God bless Rivers’ heart. He said, “I don’t want half of the song credit, because I didn’t write half.” I thought it was incredible on his part to do that, because normally the split is 50/50 no matter who does most of the work. DK: How did you get together with Avicii and write the song, “Addicted To You”? Davis: A few years ago I was playing golf with Neil Jacobson, who’s head of A&R at Interscope Records. And out of the blue, he says, “Hey, how would you like to write with Avicii?” I said, “Who’s that?” (laughs). And Neil said, “He’s a 23-year-old kid who made $25 million last year.” And I said, “Yeah, I’d like to write with him” (laughs). Sure enough, two weeks later I got a phone call from Neil, who says, “Do you want to come to the studio and write a song with Avicii?” So I said yeah, and I went to the studio around 9:30 that night and I left there around 4 in the mornimg. As I was in the studio with Avicii and listening to the EDM music, I came up with an uptempo kind of guitar lick. It was totally different—a different melody and different feeling, and it became “Addicted To You.” I think Avicii is a genius; he was great to work with. He sits down with a little laptop computer, and he makes noise come out of there that’s just unbelievable to me. I wish I could do it. He can make a whole orchestra from out of his computer…it’s pretty amazing. (Note: Avicii passed away in April 2018). DK: You also have a co-writing credit with Bruno Mars on his single, “Young Girls.” Can you tell me about this song? Davis: That was another connection from Neil Jacobson. Through Neil, I met (producer/writer) Jeff Bhasker, who is one of the best producers in the country. I asked him one day if he wanted to play golf, and he said, “No man, I’m in the studio writing with Bruno.” And I said, “Really. I’d like to be a fly on the wall.” And Jeff says, “Well, come on over.” And so I went over there and I got introduced to everybody. It was pretty crowded in there, but they were looking for a rhyme for the hook, and a line just popped out. (He sings) “All you young wild girls, you make a mess of me, all you young wild girls, you’ll be the death of me.” Well, that was my contribution to the record, and so I ended up with part of the songwriting credit. DK: You know, there aren’t too many people who can say they wrote hits for Elvis Presley, and also wrote songs with Weezer, Avicii and Bruno Mars. Davis: Yep, isn’t that wild? And I just wrote with Keith Urban, too. We wrote a pretty nice song. At any rate, I’ve been very fortunate. And at my age, I’m extremely grateful to be doing what I’m doing and still functioning in the music business. You know, I get excited everytime I get involved with somebody and write a song. It’s still a fun thing to do. DK: Besides co-writing songs for other artists, are you recording new songs as an artist? Davis: I just wrote a song that I’ve been holding for myself. I’m gonna start working with some really good musicians. The great musician Norbert Putnam, who was in the Muscle Shoals rhythm section, wants to produce a record on me. He just loves this new song I wrote, and we’re going to cut it really simple and acoustic, and just see what happens. I’m looking forward to that.